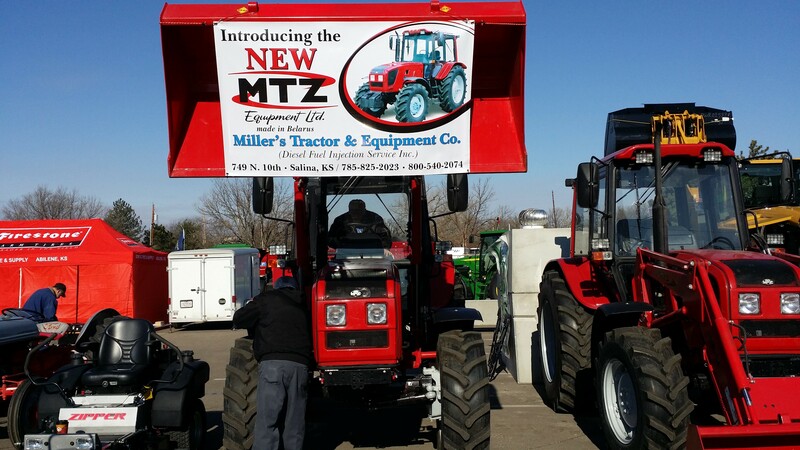 MTZ tractors at the 49th annual Mid America Farm Exposition in Salina, KS (USA) | MTZ Equipment Ltd. The 49th Annual Mid-America Farm Exposition took place on March 25, 26 and 27, 2014, at the Salina Bicentennial Center and the Saline Country Livestock and Expo Center in Salina, Kansas. The Expo has grown to become one of the largest Spring Farm Shows in the Midwest. Over 325 exhibits are on display representing approximately 275 companies from around the United States. The Expo attracts over 10,000 people each year.